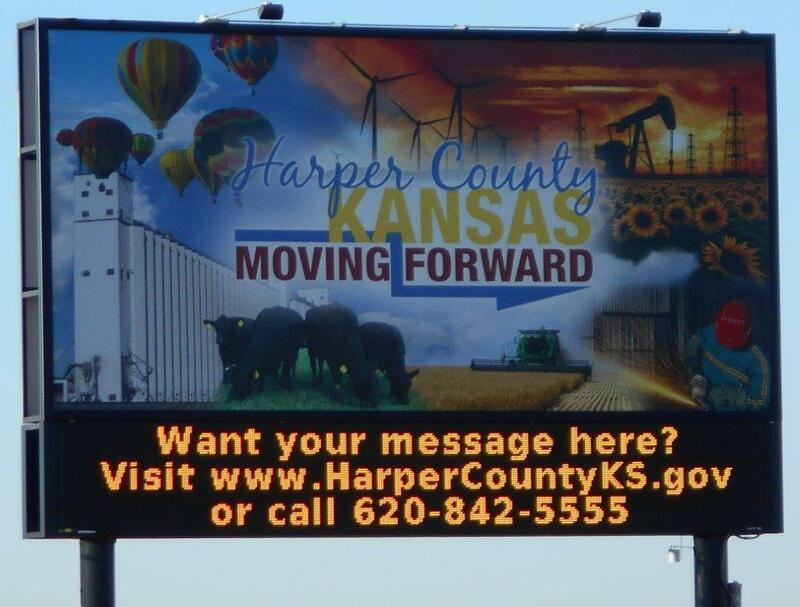 Do you need to get the word out on a Harper County community event. There are lots of good options from social media to posting signs on telephone poles. If your event improves life in Harper County, we may have a few options you might want to consider. You might want to utilize this website. We can add a picture into our home page slideshow with a link. You might also like to add a spotlight message on the side of our home page with links and other information. If either of these options are of interest, contact Bob Randall via email or call 620-842-6000 to discuss it. The County Information sign might be more to your liking. Located at the intersection of Highway 160 and Highway 2, there are a couple nice options to consider. Click here to get more information about that option.